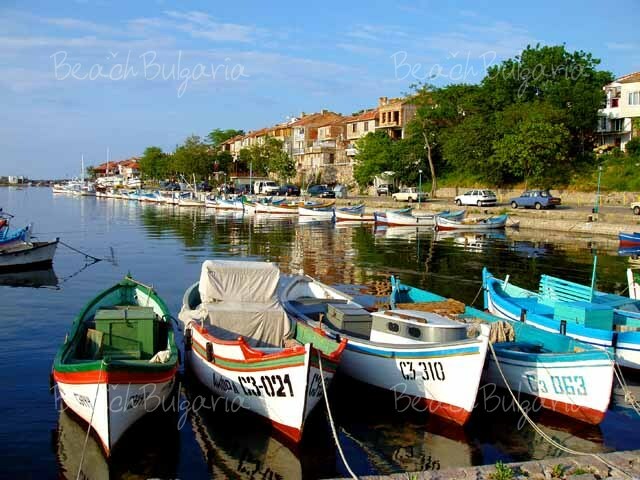 Information for attractions and interesting sites to visit near Sunny Beach resort on the Black sea coast in Bulgaria. 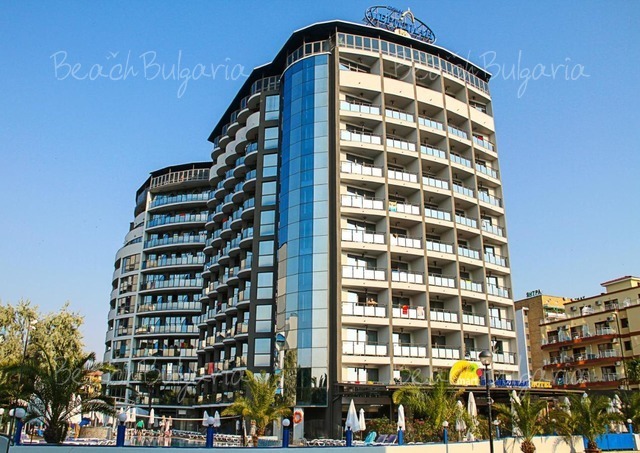 Online bookings of trip and excursions in Sunny Beach resort. 05:00 a.m. Departure from Sunny beach. 12:30 p.m. Arrival in Istanbul. Lunch. 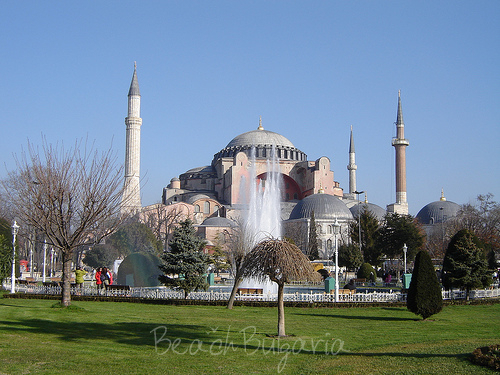 the obelisk of Theodosius; the Serpentine column ..
We can see outside the Topkapi palace and the St. Sophia. Beneath the Bosphorus bridge we reach the asian part of the town. Visit the leather and leathergoods shop. 08:45 p.m. Extra tour: - Visit the night local. Dinner and drink included. /extra tour - 30 EUR /. Overnight - 3***+. 08:30 a.m. 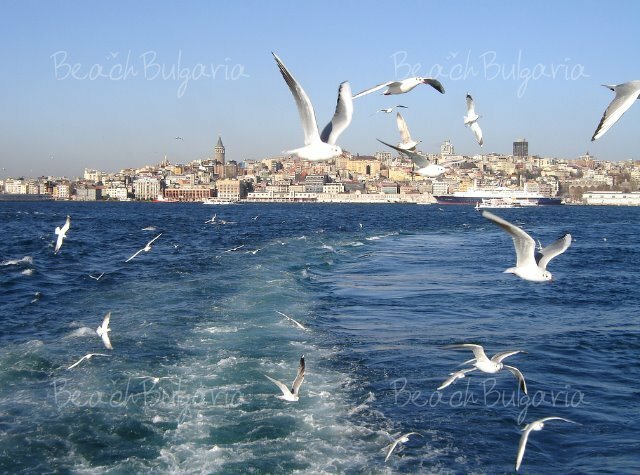 Extra tour: Bosphorus trip. Half day trip with a luxury boat. aromas of various spices. /extra tour - 25 EUR /. Free time. 06:00 p.m. Departure to Bulgaria. 10:00 p.m. Departure from Sunny beach. 06:30 a.m. Arrival in Istanbul. Lunch. Trought the Bosphorus bridge, we reach the asian part of the town. Visit the leather and leather goods shop. ISТANBUL – ONE DAY /Tuesday, Friday, Sunday/F.Pr. 06:30 a.m. Arrival in Istanbul. Breakfast. Visit the leather and leathergoods shop. Lunch. 02:00 p.m. Extra tour: Bosphorus trip. Half day trip with a luxury boat. Visit the Spice bazaar /Egyptian bazaar/. Mystical smells of different aromas of various spices. /extra tour - 25 EUR /. Free time. 05:30 a.m Departure from Sunny beach. 10:30 a.m. Arrival in Rouse.Departure to Bucharest trought the Danube bridge. 12:00 a.m. Sightseeingtour of Bucharest- first part. 02:00 p.m. Visit the ethnography reserve of Rumanian traditions.Departure to Sinaia. 06:30 p.m. Arrival in Sinaia. Dinner. Overnight. 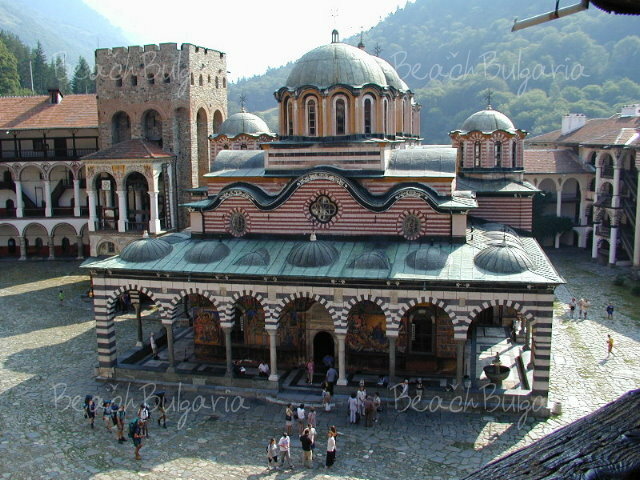 08:30 a.m. Visit the Sinaia monastery.Departure to Bran. 10:00 a.m. Visit the Dracula’s Castle. Free time. 01:00 p.m. Departure to Sinaia. 12:00 p.m. Visit the Peles Castle – east Versailles. 04:00 p.m. Departure to Bulgaria. Sightseeingtour of Bucharest- second part. 06:00 a.m. Departure from Sunny beach. 02:30 p.m. Departure to Sofia. Arrival in Sofia.Sightseeing tour. Free time. 05:30 p.m. Departure to Rila Monastery. 07:30 p.m. Arrival in Rila monastery.Dinner.Overnight.Free time. 07:30 a.m. Breakfast.Visit the Rilski Monastery. 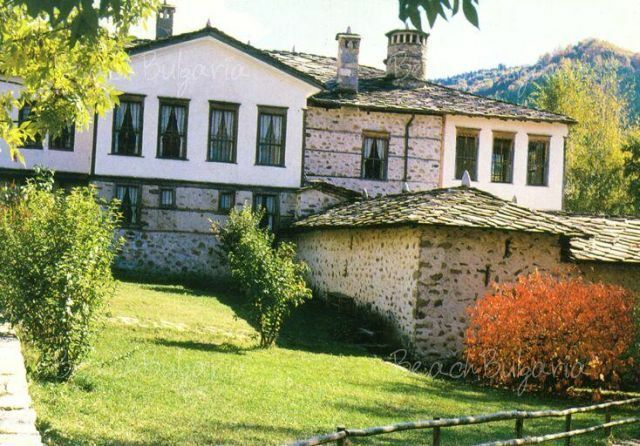 10:30 a.m. Departure to the St. Petka Monastery,created by VANGA.Visit the monastery. 12:30 p.m. Departure to Melnik.Lunch. 04:00 p.m. Departure to Sunny beach. houses with unique interior decorations,wall-paintings,cosy inner courtyards. 11:45 a.m. Lunch. Free time. 07:00 p.m. Arrival in Bansko. Check-in in the Rodina hotel/ 3 *** +/. Dinner. Overnight. 01:00 p.m. Lunch. Free time. with the tomb of Аrchibishop Seraphim..Free time. 06:00 p.m. Departure to Sunny beach. 06:30 a.m. Departure from Sunny beach. the oldest and the most venerated icon –miraculous Threehanded Mother of God. Visit the Tsarevets, the main fortress of the Second Bulgarian Kingdom. 01:30 p.m. Lunch.Free time in the Samovodska charshiya street. 04:30 p.m. Departure to Sunny beach. 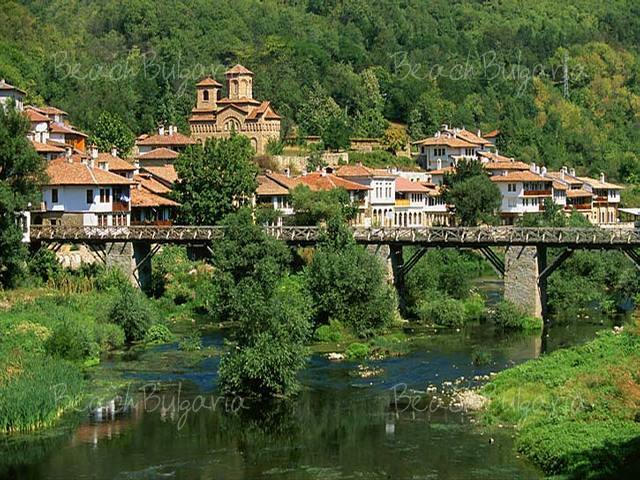 ZHERAVNA – SLIVEN - / wedn.,satur./ . 08:00 a.m. Departure from Sunny beach. 10:30 a.m. Arrival in the town of Zheravna.The positioning of the village is amphitheatric. houses,some of which are over 300 years old.Visit the house of Roussi Chorbadzhy. with the exhibition of unique icons. 02:00 p.m. Departure to the town of Sliven.Pass through the Blue mountain. Enjoy a ride on a chairlift /extra /. Visit the town of Sliven. 07:00 a.m. Departure from Sunny beach. 10:00 a.m. Ride a horse – driven cart in Kabuik. 12:00 a.m. Winetasting in the special hall. 02:20 p.m. Departure to the Madara .reserve. Visit the famous rock Horserider of Madara and two caves. 03:00 p.m. Departure to the natural phenomenon Pobitite Kamani Site / Stone forest or upright stones/. These are limestone cylindrical hollow rocks of different height and width,consisting of varios fossils. collection grows in Allah`s garden and floral magic of the park. Visit the Queen`s stone throne. in Bulgaria.There you get the filling of being able to see beyond infinity. reserve,natural habitat of seals in the sea. starlings and blackbirds nest in the caves of the rock. 07:30 a.m. Departure from Sunny beach. 02:30 p.m. Arrival in Varna,the largest city on the Bulgarian seaside.Free time. 03:00 p.m. Visit the rock Aladzha monastery. Arrival in Varna the largest city on the Bulgarian seaside. 10:00 a.m. Visit the Dolphinarium. 03:00 p.m. Departure to Sunny beach. 08:45 a.m. Visit the St. George monastery in the town of Pomorie. 12:00 p.m. Lunch. Free time. 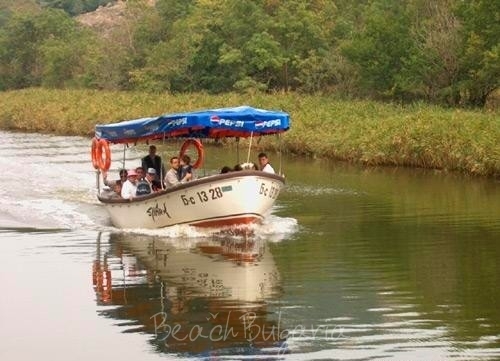 01:30 p.m. Boat cruise to the estuary of the Ropotamo river. 03:00 p.m. Departure to Bourgas. Free time. 05:00 p.m. Departure to Sunny beach. 10:00 a.m. Leaving from pick up points on the way up and down in the beautiful Balkan mountains range. grape brandy production process. Games. 11:00 a.m. The jeeps cross trough small villages and lead the village of Erkech up in the mountain. Visit the Zoo of the Panorama Ranch. 02:00 p.m. On the way up to the top of the mountains, the tourists are able to see the TV station. 03:30 p.m. Departure to Sunny beach. 06:00 p.m. Departure from Sunny beach. Leaving the coast you drive into the heart of the Bulgarian countryside and the village of Bata. For the kids – own show, ride a donkey - driven cart. Firedance and dancemusic. 11:00 p.m. Departure to Sunny beach. then churches of St. Stefan and St. Ioan Aliturghetos. a.s.
07:30 p.m. Departure to Sunny beach. Khans Tent is worth a visit, average cost but entertainment is excellent. I went to bulgaria 2006 and 2008 and i went to khans tent it is amazing for the price food n drink included and the show if fab im off again 2010 june and im booking it again im taking friends to see it and im trying the other trips this time but you wont be dissapointed if you go its lovely . My girlfriend and I did the Jeep Safari. It was 65 levs (about 23 quid) and had a full day of superb fun. Picked up at 8.30 in a Suzuki Vitara and driven 135 km south to the Turkish border. There we were given hard hats and sticks and went walking up a scenic mountain path along a stunning river and arrived at some amazing caves! 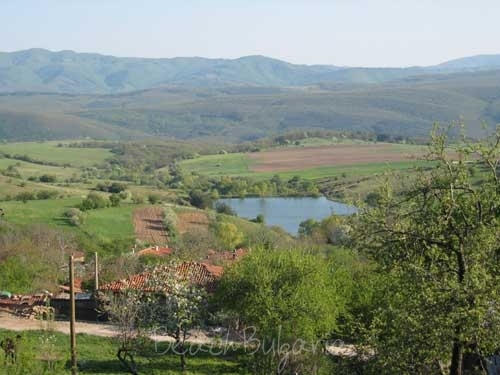 After a look around the caves, we travellied to the very old town of Breshlyan, middle of nowhere and somewhere you can get a feel of the 'real' Bulgaria. An amazing experience. Provided with luch and dinner on the trip and its definately worth a day out. 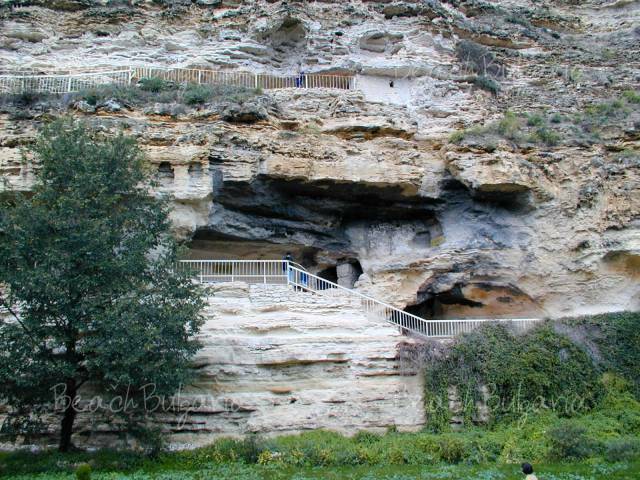 Be warned though, they dont tell you about the caves so wear appropriate footwear, some had to do it in flip-flops!!! 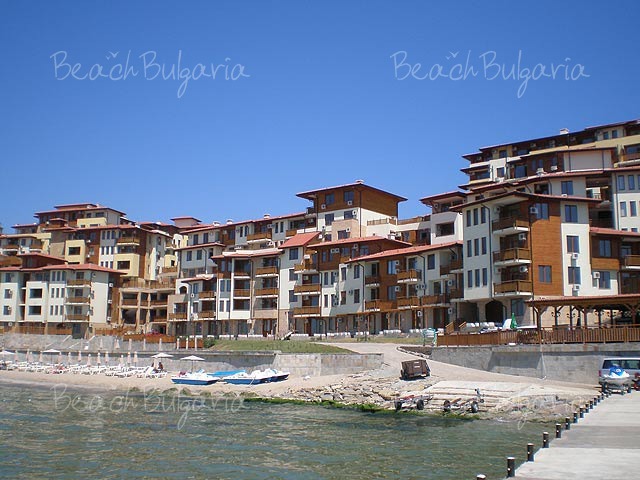 Please, post a comment on Sunny Beach excursions.